Good Deed Entertainment made a donation to the World Animal Foundation to symbolically adopt a pelican on my family's behalf in promotion of the April 5, 2019 theatrical debut of STORM BOY within the United States. 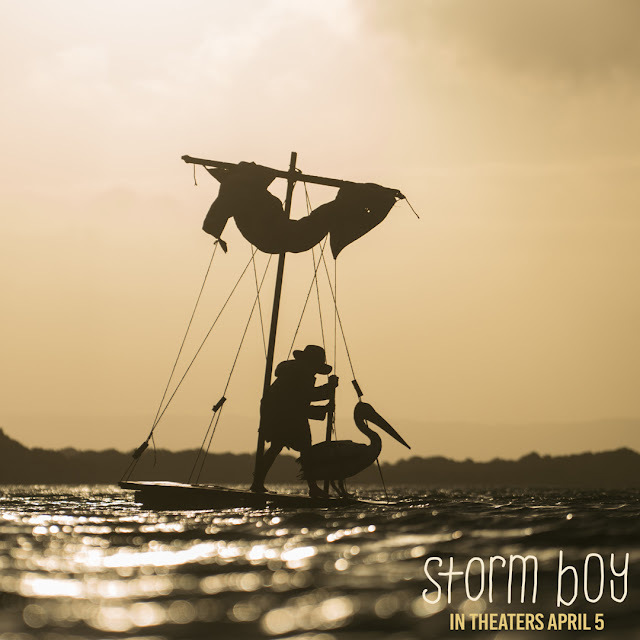 This Australian film starring Geoffrey Rush, Jai Courtney, Finn Little, Trevor Jamison, Morgana Davies, and Erik Thompson tells the story of a young boy and his extraordinary friendship with an orphaned pelican. STORM BOY is based upon a short story written by Colin Thiele that is beloved by Australians and is now being shared with us Americans through this film. STORM BOY is rated PG for thematic elements, mild peril and brief language by the Motion Picture Association of America. Filmed on location in South Australia’s remote Coorong National Park, the movie compliments the context of Thiele's novella with wonderful visual imagery. Visit gooddeedentertainment.com/stormboy to find theaters and purchase tickets to this movie. 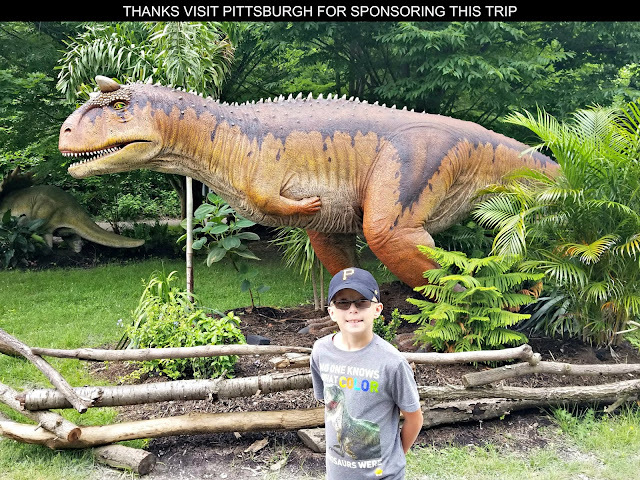 Whether it is taking a casual stroll through a local park or an adventurous trek while on vacation, my kids always enjoy having an encounter with wildlife. It could be as simple as seeing a cardinal sitting on a backyard fence or a stunning encounter like observing a flock of pelicans on a rocky outcrop while exploring Florida's gulf coast, but whatever the situation I always notice a look of wonder on my kids' faces when they see creatures out in their natural habitat. So it is frustrating that because of human disregard when it comes to conservation, pollution and habitat preservation impacting our planet's environment and its variety of eco-systems that so many animals are threatened with extinction. Just think about what are lives would be like void of the wonder of wildlife in our world around us? By making a financial donation to symbolically adopt a pelican from the World Animal Foundation, people are supporting this non-profit's mission to make the world a more compassionate place for all animals - wild animals, companion animals, aquatic animals and farm animals -- through grass roots action and activism. The greatest threats to pelicans are habitat loss, hunting, human interference with nesting activities, poisoning from insecticides and industrial pollutants, oil spills and fishing injuries. Money raised from the World Animal Foundation's Adopt An Animal program funds lobbying for legislation at local, state and federal levels to counter these threats plus supports hands-on activities to protect wildlife in their natural habitats. 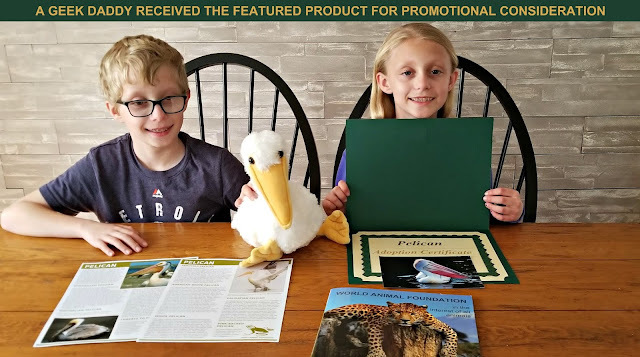 The ADOPT A PELICAN package we received from Good Deed Entertainment included a plush pelican from Wild Republic. They truly make some wonderful stuffed animals! Plus we received a World Animal Foundation adoption kit. 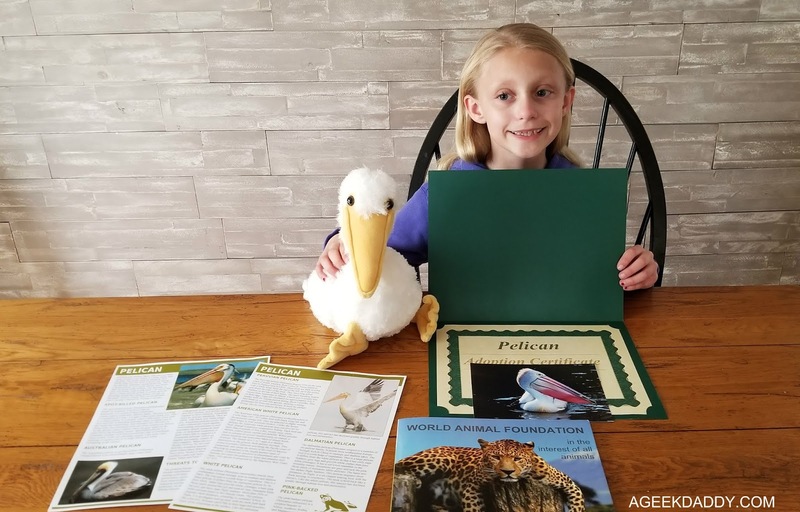 Our World Animal Foundation adoption kit included a color photograph of one of the pelicans that would be assisted by the non-profit along with a certificate of adoption. It also included some informational sheets with trivia about pelicans. Did you know there are eight species of pelicans? These birds live on every continent except Antarctica, can fly as high as 3,000 feet and can have a wingspan that can reach a length of over 12 feet. These really are some magnificent creatures. Decorate the coloring pages and post a scan or picture of them on Facebook or Instagram using the hashtag #StormBoy. The movie's official social media accounts will be sharing some of their favorites for Fan Art Friday corresponding with the film's theatrical opening on April 5. A beautiful and contemporary retelling of Colin Thiele's classic Australian tale. 'Storm Boy' has grown up to be Michael Kingley, a successful retired businessman and grandfather. When Kingley starts to see images from his past that he can't explain, he is forced to remember his long -forgotten childhood, growing up on an isolated coastline with his father. He recounts to his grand-daughter the story of how, as a boy, he rescued and raised an extraordinary orphaned pelican, Mr. Percival. 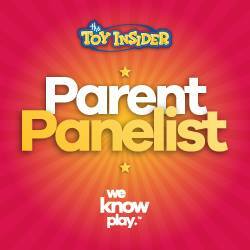 Their remarkable adventures and very special bond has a profound effect on all their lives. Based on the beloved book, Storm Boy is a timeless story of an unusual and unconditional friendship.